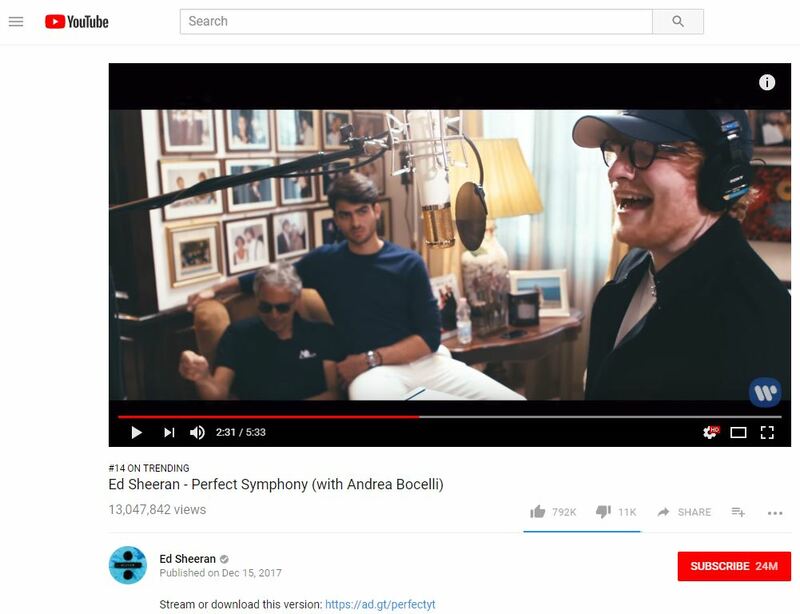 Sheeran recently teamed with Andrea Bocelli to record a classical-pop version of “Perfect”, his latest hit. 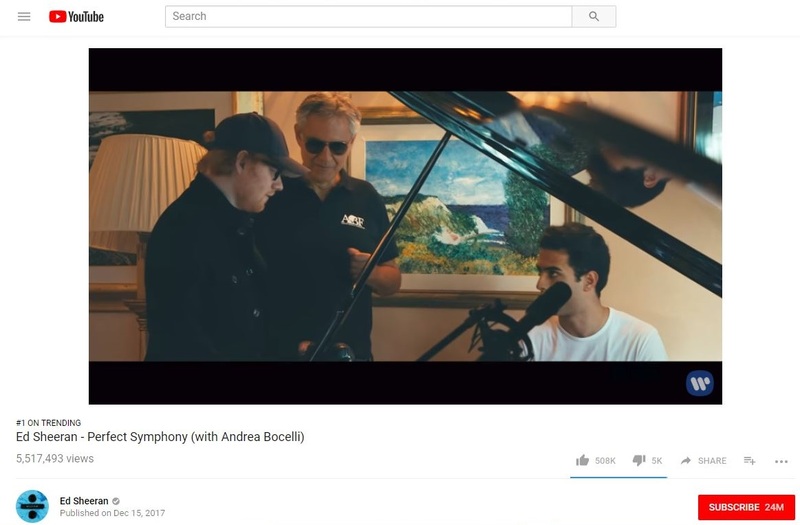 Pop star Ed Sheeran has 24 million YouTube subscribers. Andrea Bocelli has sold over 70 million records. In 22 hours, the “Perfect Symphony” music video received 5.5 million YouTube views and peaked at No. 1 on YouTube Trending. Just downloaded this, amazing duet, Ed's experimentation is groundbreaking, Andrea continues to prove he is incredibly versatile, bravo. Today, this video is listed in the Top 50 of YouTube Trending. It has also received 16 million YouTube views. Below is a slideshow of screenshots from the video.